Revolutionary politics have become utterly meaningless today. They lack purpose and movement. They have been soundly defeated, continuously, by the Capitalist status quo. The green movement, fair trade organizations, indigenous rights groups–they have all certainly claimed small victories, but those concessions have been painted by their champions as grand events that mark an important moment in history. It cannot be stressed enough how little significance they have. Many others, I think, share this feeling. That is the cause behind what Simon Critchley calls the ‘political disappointment’ of this age. Furthering any emancipatory movement, and creating a true political sequence, requires a massive restructuring of the current popular understanding of politics in order to find the specific point of failure. 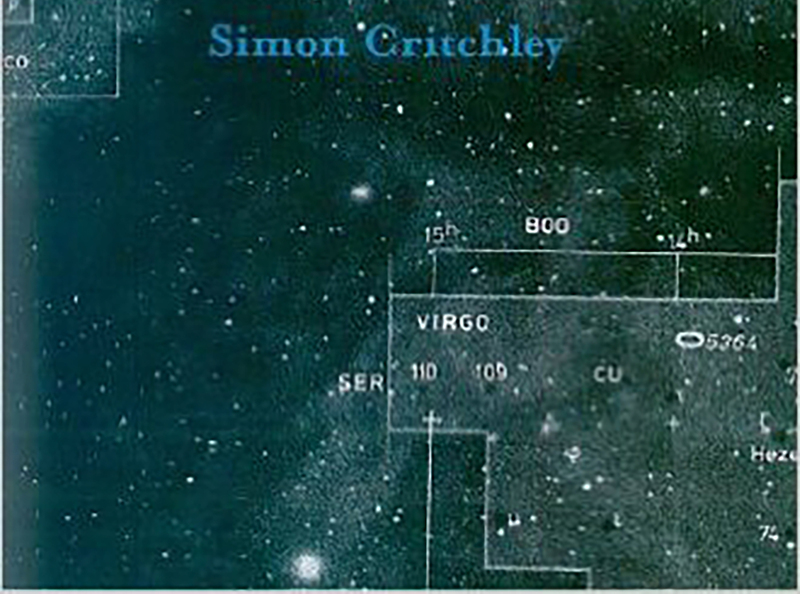 Critchley gives us a strong foothold to begin with in his short book Infinitely Demanding. He begins that work with a theory of the ethical subject, a theory which guides his political ideas. His understanding of subjectivity is profound and deserves a much more thorough explanation than I will give it here, but I will only give an overview for that very reason–I see little fault in his account. He argues that the subject is formed in relation to a demand, a demand which comes from a specific situation, e.g. the xenophobic immigration laws of Arizona or France or the massive poverty in Africa. The subject, when faced with this demand, approves of it–she admits that the good which is demanded binds her and acts upon her. It asks her to act in certain manner in response to the situation that brought the demand. So, if that demand was the immigration laws of Arizona or France, she would feel pulled to act for the benefit of Mexican immigrants or sans-papiers. The demand and approval arise simultaneously–the demand is only felt by one who approves it. The subject is founded in this demand and her approval of it. It creates her. a _split subject_ divided between itself and a demand that it cannot meet, a demand that makes it the subject that it is, but which it cannot entirely fulfill. The sovereignty of my autonomy is always usurped by the heteronomous experience of the other’s demand. With this understanding of subjectivity, we can move to politics. Critchley believes that “politics without ethics is blind,” so laying out a proper theory of ethical subjectivity can guide our politics by giving it motivational force. We should pass universal healthcare because the uninsured poor deserve proper medical attention and that fact (that demand) is what grounds (some of) us as ethical beings. I would disagree, slightly. It is not that ethics gives direction to politics, it is rather than ethics and politics are the same intersubjective work that stems from the internal split subject, from the demand that others place on the subject which is the event that creates the subject. Ethics and Politics are the same field, only with a different scope. Either way, however, this understanding of what it means to be a subject is a precursor to any sort of meaningful politics. we need to construct political subjectivities that are not arbitrary or relativistic, but which are articulations of an ethical demand whose scope is universal and whose evidence is found in concrete situations. In other words, we need to found our politics in real instances of wrong, in those very instances which creates subjectivities. We must found our politics in events rather than abstract talk of human rights or multiculturalism. If anything, we should have learned since 9/11 that those theories are utterly vapid. We need to organize around specific wrongs–and there are plenty of them–and creates new political subjectivities which work for emancipation. These events, and the demands that stem from them, are universalizable–that is, they are coherent and we must remain faithful to their demand by never contradicting that inaugural demand. However, Critchley’s solution to this political disappointment is to build ‘interstitial distance.’ He argues that the state is a given which we must accept and that we must build these subjectivities within the state. One works within the state against the state in a political articulation that attempts to open a space of opposition. His examples are of the growing space within the Capitalist state which are being used to exist without state control, such as, first, the various indigenous movements; and, second, the ‘neo-anarchists.’ For the first example consider The Zapatistas in Mexico and the aboriginal groups who are gaining more independence from the state in Australia. The indigenous person is a political name constructed through a hegemonic operation, she is a contingently articulated subject made possible at a determinate and transient historical point and making possible an intervention and a new and dynamic political sequence. That is, indigenous movements are real, concrete events around which subjectivities are formed which can become political movements. These movements exist within the state and do not threaten the state itself, but instead solidify the the distance between the state and these subjective political singularities. Following the second example, Critchley champions the ‘neo-anarchists’ such as Billionaires for Bush and the Pink Bloc who use over the top humor to protest against the prevailing status quo. Critchley believes these groups represent the kind of political subjectivity that can give progress in radical politics. But they cannot. For this is where Critchley goes wrong. By asking only for interstitial distance, he is accepting the power of the state to limit individuals to certain roles. The state is still determining the role and holding the individuals to it–the distance which Critchley backs is merely a widening of that role. The indigenous movements must target the state, must be dedicated to withering and opposing the state in order to reduce the state, rather than working only to assure the space which they have. Interstitial distance is simply an example of a group asking for more autonomy rather than independence. The fault with this thinking can be seen even more clearly, I think, with the neo-anarchists. These groups use spectacle and humor to display their distaste with Capitalism, but it only serves to place them outside of the Capitalist system in a captive way. They are not free to attack Capitalism, but are held at a distance, quarantined and impotent. Their role is to exist outside of Capitalism, to be the outliers who have no real meaning but simply to thrash about. These movements will never threaten Capitalism nor will they ever have any truth-value–they are nothing but a show. to their allotted social or bureaucratically designated function in the state. what unites the Bush Administration and Al-Qaeda is their obsession with spectacle, a painful love affair with the image. But this is the exact same diagnosis that we should give the neo-anarchists–they protest via spectacle, and in doing so they use the logic of the spectacle, which is the logic of the Capitalist paradigm. Using that logic keeps one within the realm of Capitalism and forbids any thinking outside of that system. What we need is something much more radical: a re-thinking of thought, a change in the way which we understand politics and political movements. We must separate ourselves from the spectacle and bind ourselves to truth. A parallel argument can help bring this point to light. In the Tractatus, Wittgenstein argues that the form of a picture equals that of reality because if the form did not match, they two could not be compared. The form of anti-Capitalist movements today takes the form of Capitalism and therefore stays within Capitalist logic. But while Wittgenstein is discussing reality, the totality of existence which is a given, we are discussing Capitalism. By using the same form we are treating it as something which is a given when it is not and therefore accepting its existence. We must separate ourselves from that thinking. This Capitalist logic is a simplifying one, which is a trend in all thought today. We must resist the urge to simplify and instead keep to our limits, to an understanding of the multiplicity of concrete human experiences and the subjectivities that arise therefrom. And while doing so we must be sure to remember that Capitalism is not a simple system of economic relations, but rather a whole system of thought–a system, it should be noted, that is fantastically strong and resilient, able to adapt and co-opt every attack against it, including, most strikingly, the entire legacy of May ‘68. Our response to Capitalism must be of an entirely different form of thought, a logic independent of the Capitalist thinking of image and empty relation. Ours must be built on concrete meaning, truth grounded in human existence. It must be honest and brave. And it must be a radical break, not in merely social organizing or economics, but in the way in which we relate. We must re-think our thinking, found an understanding of human life in the concrete truths of subjective singularities–in Badiou’s truth procedures and Critchley’s infinite demand. But we must remain ever vigilant to avoid the infidelity of both Saint-Just and Seattle.